I really should start these before 11pm. But I'm too busy during the day to take a break and write! I had considered visiting friends today but after a very long day at baronial birthday and this head cold, I wasn't going anywhere. We even skipped Ian's swim lesson today. 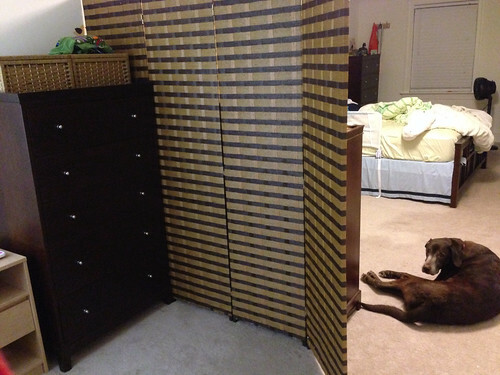 Rich and I spent most of today cleaning and reorganizing our master bedroom to give Ian his own room. 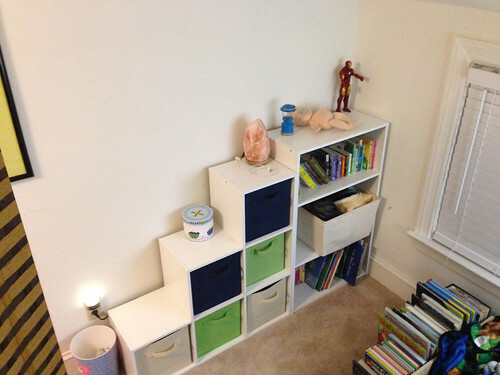 For those keeping track, we have waited four years to create a "nursery". Because our upstairs bedrooms are both huge (this house is effectively a Cape Cod, just a very big one), it seemed silly to give Ian the other 15x24 room upstairs. So we gave him the back third of our room. 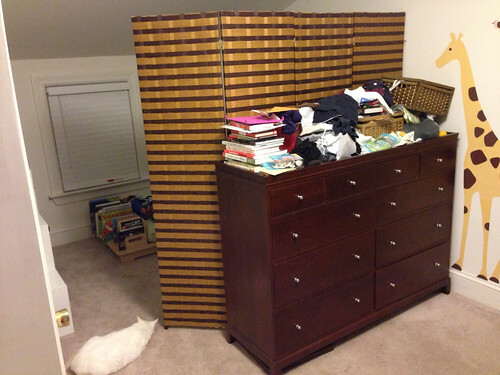 Rich bought a room divider screen and we wedged it between my dresser and his. 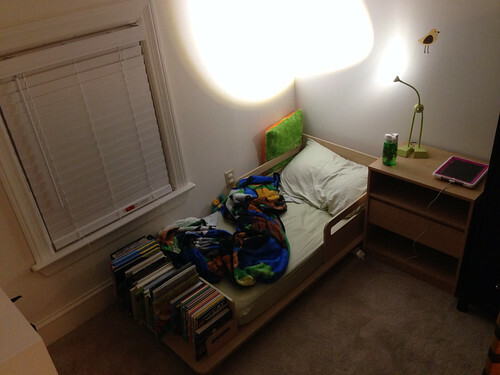 We put his bed in the corner and made space for books with a new bookcase. He has a new nightstand with a lamp and iPad charger. And Rich ordered some ninja turtle decals for the walls. We are all very pleased. The room feels more organized, we removed several pounds of dog hair hiding under furniture and Ian seems excited. Granted he's lying next to me in our bed right now but we'll transfer him to his own bed once we're ready to sleep. This should hold us for another four years or so.